Check out a copy from the Library! The Leavers was a finalist for the 2017 National Book Award for Fiction and the winner of the 2016 PEN/Bellwether Award for Socially Engaged Fiction. Read an excerpt from The Leavers online, courtesy of the publisher. "Lisa Ko’s novel, about the disappearance of an undocumented mother, places an imperfect victim within a cruel system." "Should fiction be relevant or timeless? Should it aim to put a human face on issues of the day? And if so, is that enough? Should it do more? Lisa Ko’s debut novel, “The Leavers,” brings these perennial questions to mind." The Bellwether Prize was created to promote fiction that addresses issues of social justice and the impact of culture and politics on human relationships. Established by Barbara Kingsolver in 2000 and funded entirely by her, it is awarded biennially to the author of a previously unpublished novel of high literary caliber that exemplifies the prize’s founding principles. 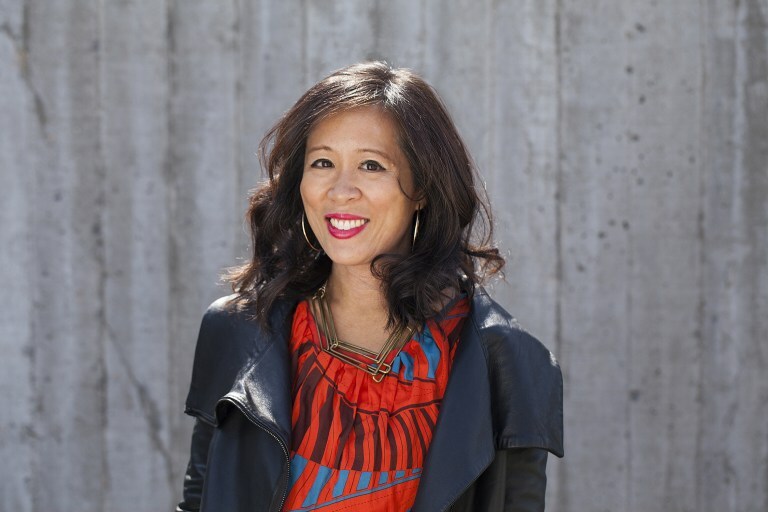 Lisa Ko is the author of The Leavers. Her writing has appeared in Best American Short Stories 2016, The New York Times, BuzzFeed, O. Magazine, and elsewhere. She has been awarded fellowships from the New York Foundation for the Arts, the Lower Manhattan Cultural Council, and the MacDowell Colony, among others. Born in Queens and raised in New Jersey, she lives in Brooklyn.